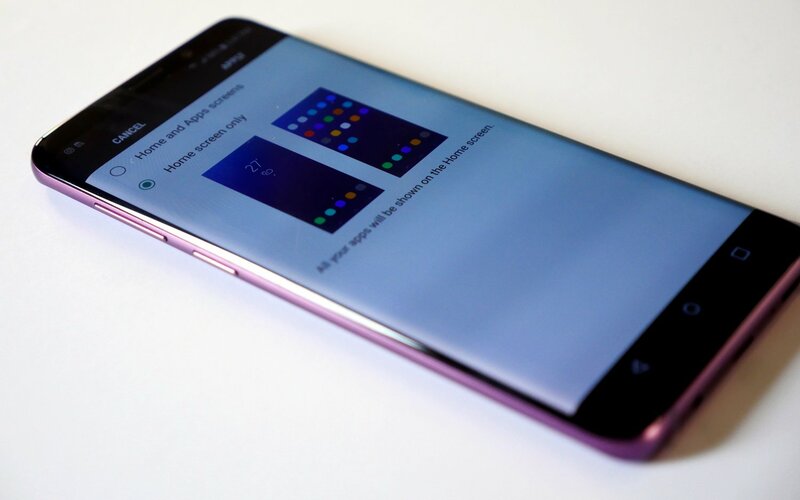 The Samsung Galaxy S9 and Galaxy S9 Plus were two of 2018’s best devices. 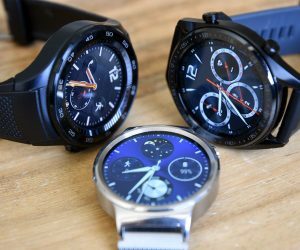 They are so good that they’re still selling incredibly well, especially when carriers offer deals on them. 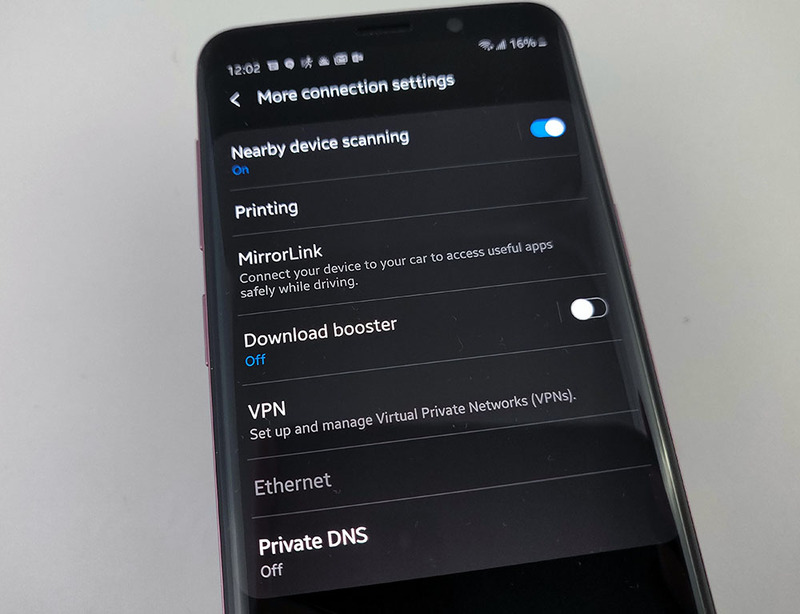 So, that inspired us to put together a list of our favorite tips and tricks for the devices now that the Android 9 Pie and One UI updates are rolling out. There’s a little tutorial that’ll show you how to use the gestures, but this should feel pretty similar to using navigation buttons. A swipe up from the bottom of the screen on the left side goes opens up the multitasking window, swiping up from the middle goes home, and swiping up from the right goes back. 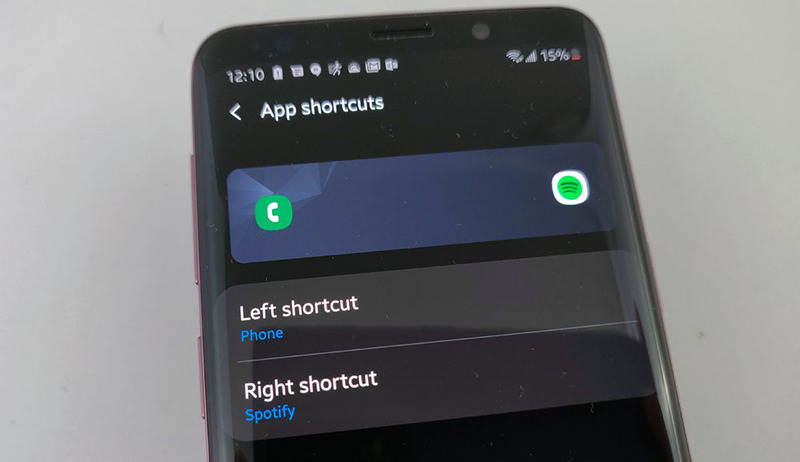 This button order also changes your gesture navigation so swiping up from the bottom of the screen on the left side will go back and the right side will open up the multitasking window. This is a nice little feature that speeds things up. If you keep your phone unlocked at home, this should take you right to your home screen. If you use a screen lock or biometric unlock, this will take you to your lock screen where you can unlock your device. 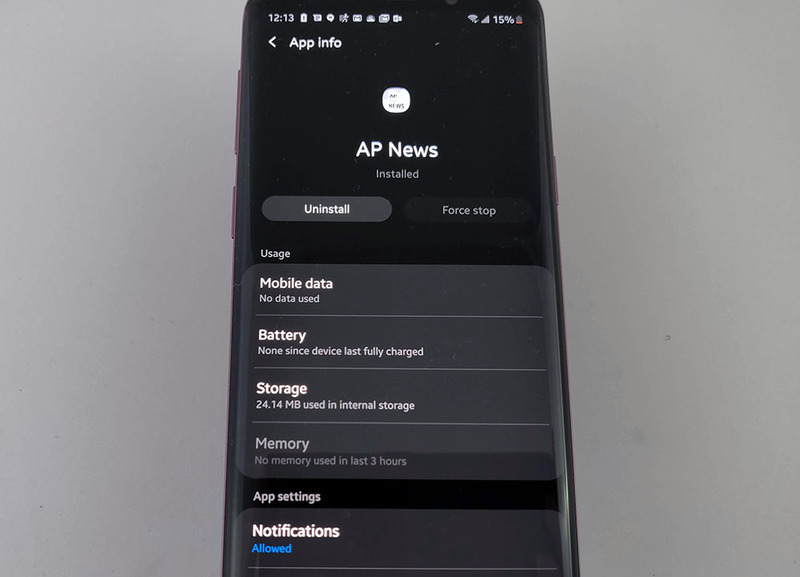 With the update to Android 9 Pie, users are also being upgraded to Samsung’s new user experience, One UI. The new skin has a ton of fun new features, but one of our favorites is an integrated dark mode. This eye-saving feature is a fan favorite and easy to enable. 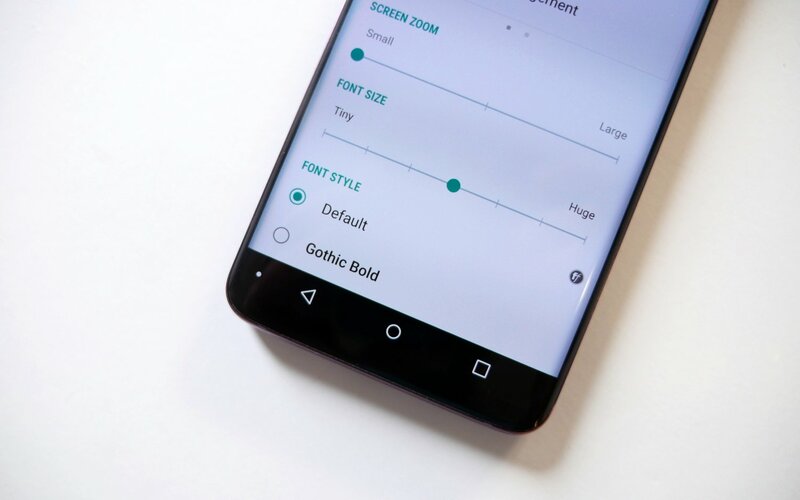 Just like resizing your font, you can resize the elements on your screen. This can make text bubbles, graphics, and menus larger and easier to see. Alternatively, you can zoom out and get way more on the screen if you have great eyesight! No matter which setting you choose, you will still receive notifications about new alerts in your notification tray. Do you like to keep it simple? Maybe you want to fill your home screen? No matter how many icons you’d to see, Samsung is giving you options to fit your preference. 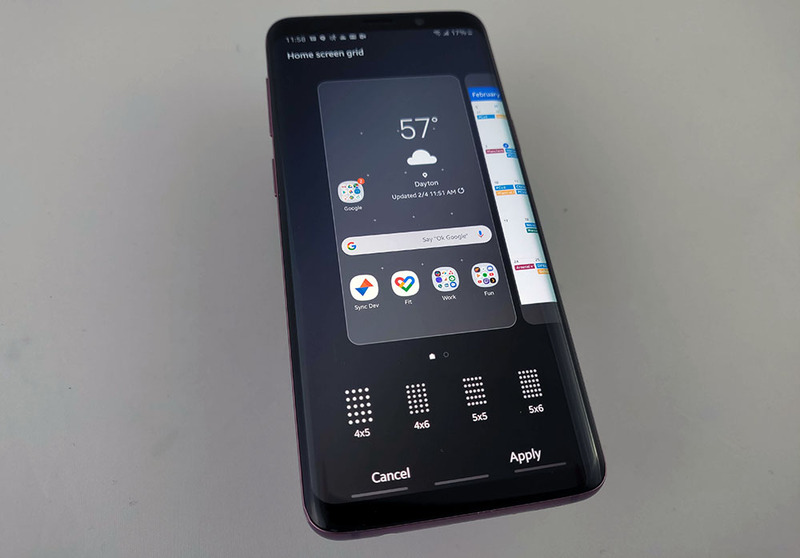 The Samsung Galaxy S9 and Galaxy S9 Plus offer four different homescreen grids, 4×5, 4×6, 5×5, and 5×6. Remember that changing to a smaller grid may move icons or folders to another screen or remove them completely. Also, you can resize your widgets by long pressing them and then dragging the box to the edge of the screen. 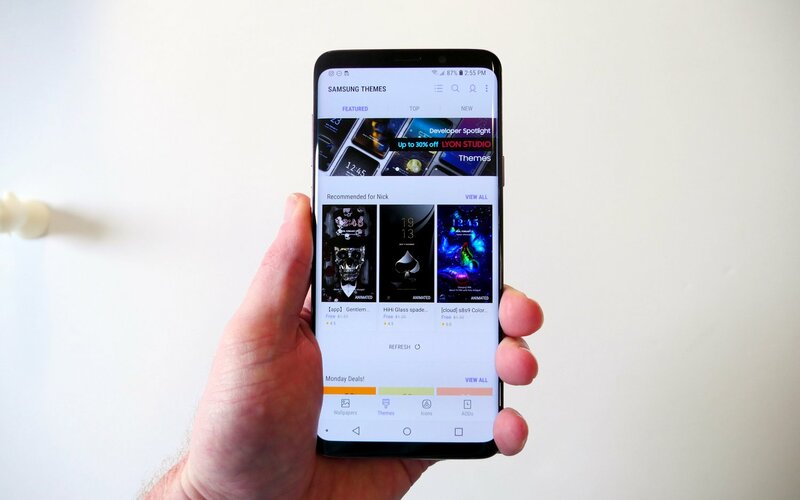 With the change to slimmer, but taller phone designs, it is now eaiser to hold phones, but harder to reach the top of the screen. 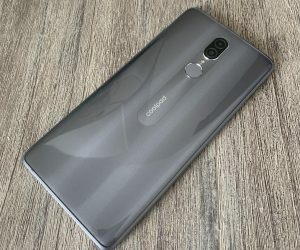 Unfortunately, Android still places the notification panel at the very tip top of the display where it can be hard to stretch your thumb to reach. 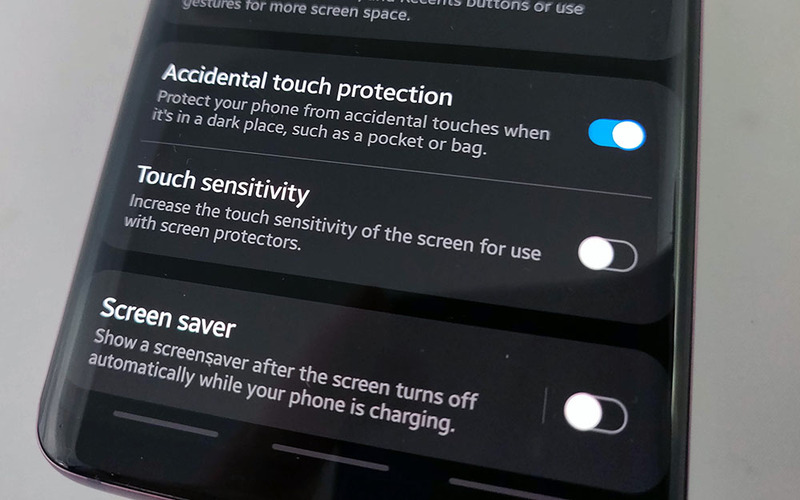 Normally swiping down on the screen will open up the app tray, but one setting will actually allow you to drop the notification shade with a quick swipe down from anywhere on the screen. Now, you can access your notification with a swipe down and your app tray with a swipe up. If you accidentally hide something or just decide later on down the road that you’d like to use a hidden app, you can head back to the “Hide apps” screen the same way and uncheck them. Just remember to hit “Apply” and not the back button. 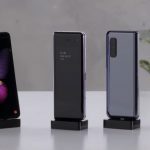 The Samsung Galaxy S9 and Galaxy S9 Plus feature wireless charging and support both Qi and PMA standards, making them compatible with almost any wireless charger out there. 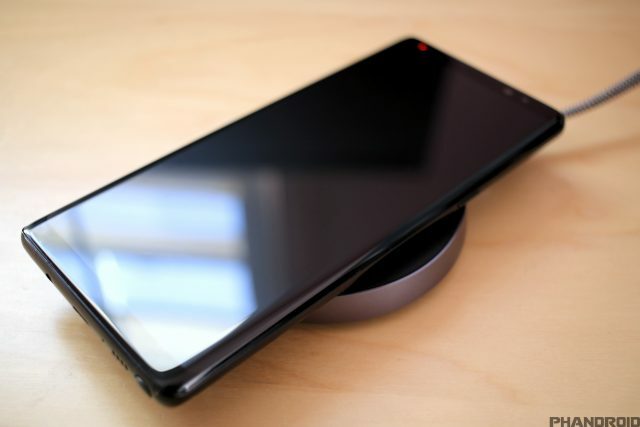 Wireless charging is typically pretty slow at charging your device — nowhere nearly as efficient as charging with a USB cable — but the Galaxy S9 always features wireless fast charging. Using a compatible fast wireless charger, the phone charges much more quickly. Even if you don’t have an issue with missed touches, it’s still interesting to turn this off from time to time to see exactly how many presses it discards during normal use. 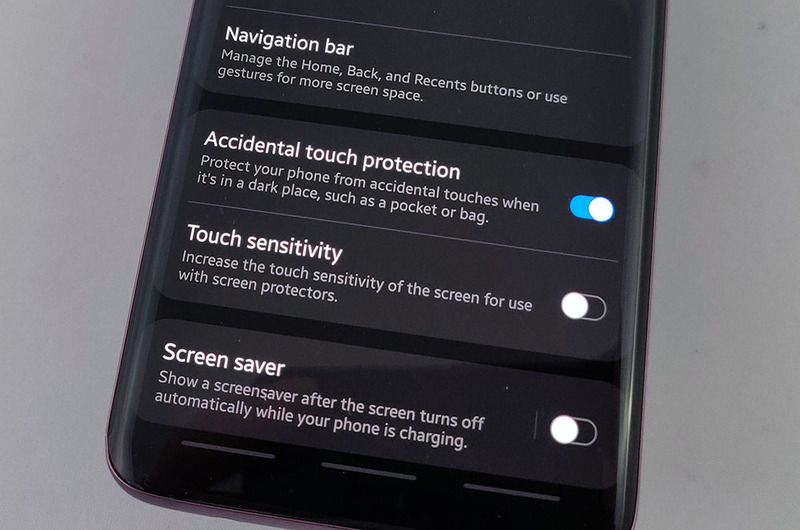 Toggling this option on or off will not affect the Accidental touch protection we mentioned previously. 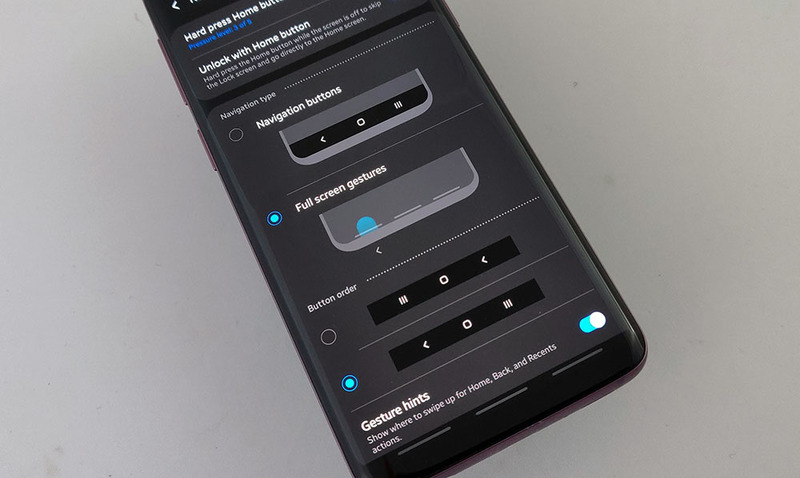 We haven’t seen much of a difference with this setting on or off when not using a screen protector so you might want to skip this one if you’re rocking a naked display. This activates screen pinning and will only allow that screen to be pinned. If you chose the “Ask for PIN before unpinning” option, whoever you hande your phone to will not be able to do anything else with your phone unless they have your PIN. Coverage seems to be getting better every day but there are still some cellular dead zones out there. To address this, most carriers give customers a small amount of roaming data for free just in case. But, once you’ve eaten through that small allotment, you’ve gotta pay. 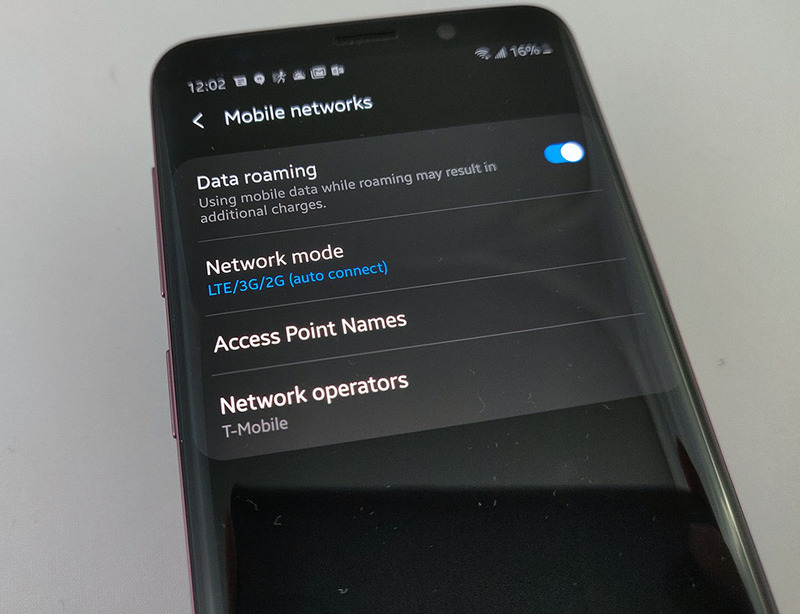 To avoid using roaming data, you can simply turn the feature off. 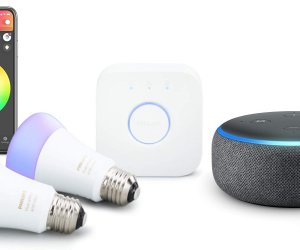 Nearby Device Scanning is a feature built into Android that helps it detect other devices using Bluetooth Low Energy (BLE) and the microphone. 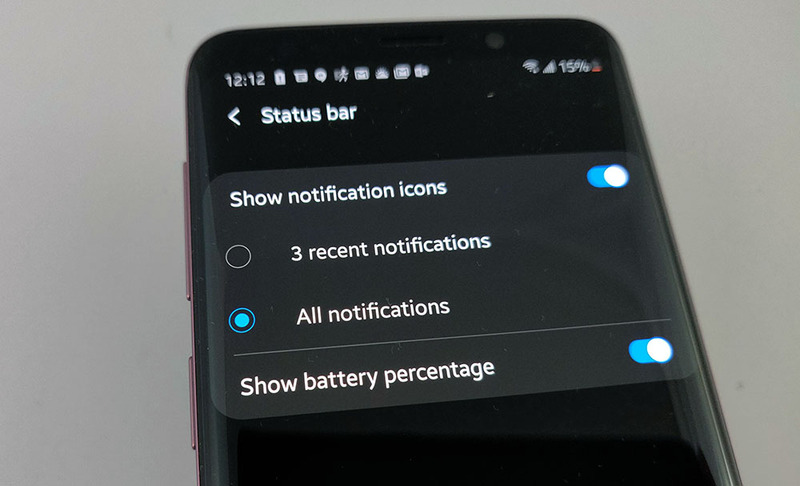 This can be useful, but some users report battery drain due to this feature. If you don’t find it useful, you can turn it off! 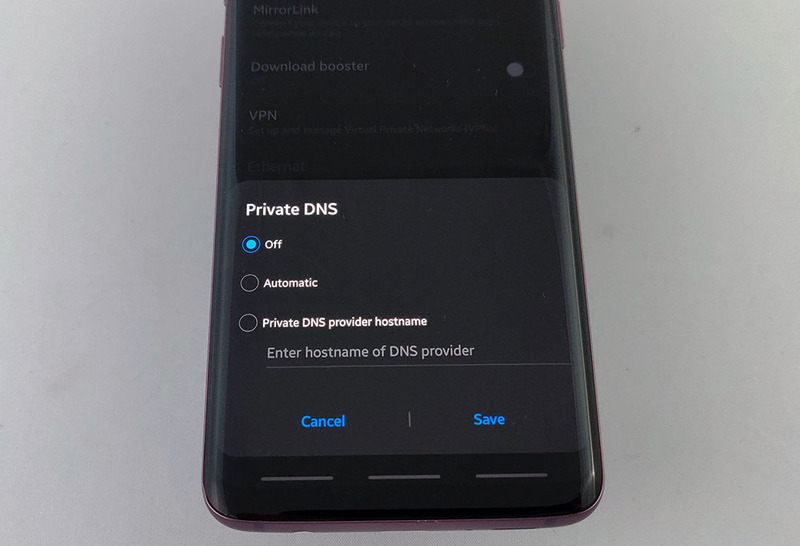 Some carriers have asked Samsung to disable this feature to ease some stress on their networks so if you don’t see this option, that’s probably why. 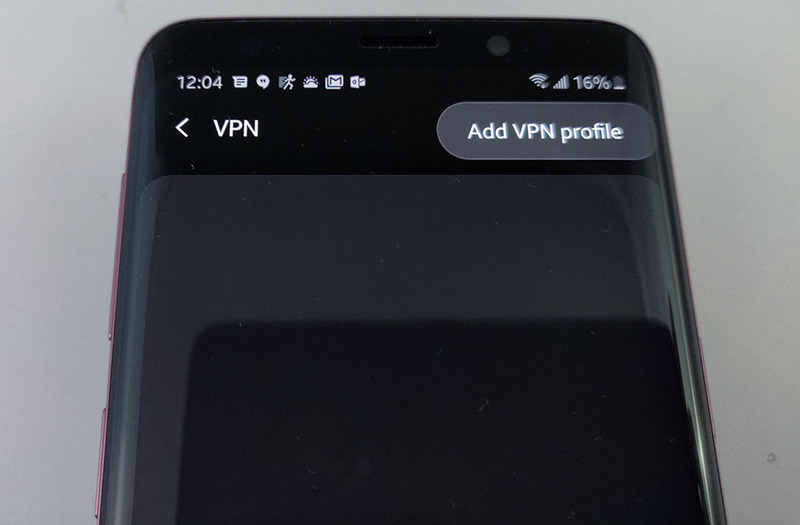 When you sign up for your VPN, it should supply you with all of the information you need to enter here. Google’s 8.8.8.8 and Cloudflare’s 1.1.1.1 DNS are two of the more popular options, but make sure you do your research before changing this setting. Not everyone has the best eyesight. For those that either struggle making out tiny fonts and icons, there’s Easy mode. 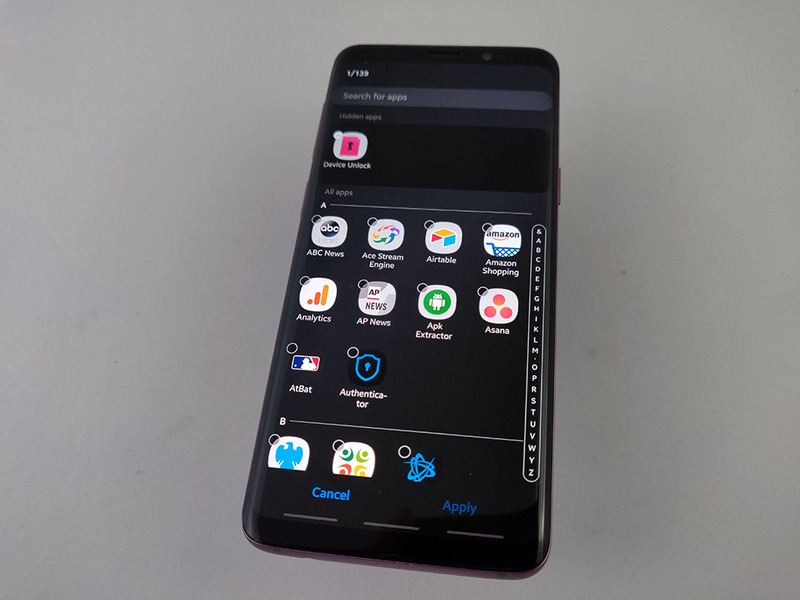 It’s essentially an extremely simplified home screen without all the fluff and once activated, cranks the Galaxy S9’s zoom to maximum for enlarged fonts and buttons throughout the entire OS. There’s also a quick settings tile in your notification try to manually turn Do Not Disturb on and off. Just swipe down from the top of your screen twice to find it. One reason that people tend to not use DND is that they don’t want to miss an emergency call in the middle of the night. Luckily, Samsung lets you have the best of both worlds. Navigate to the Do Not Disturb settings in the above tip then press “Allow exceptions” and “Calls from” and make your selection. We also suggest toggling on “Repeat callers”. Do you enjoy trying to sleep with the lights on? What about trying to sleep with a blinking light in your face in a dark room? Doesn’t sound very fun, does it? 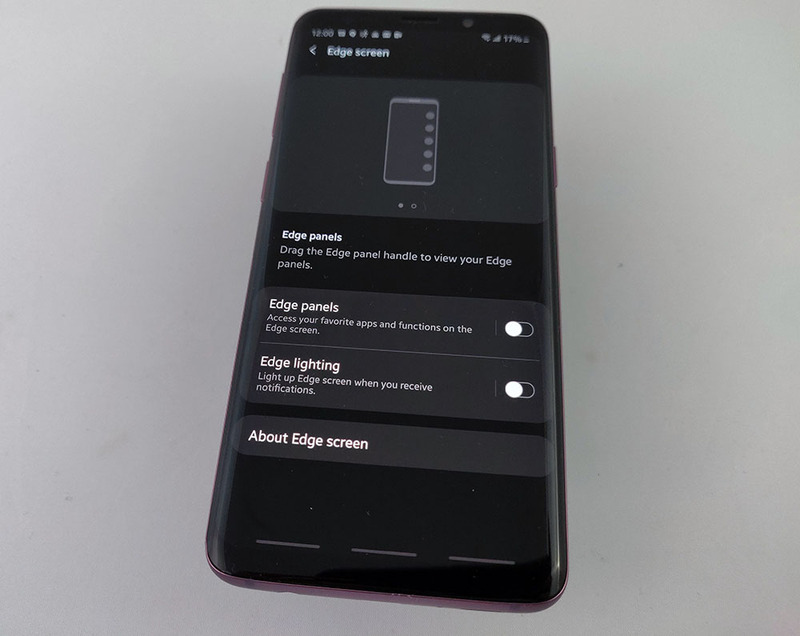 Well, you can nix the LED notification light at night to ensure it doesn’t wake you up or keep you from falling asleep. 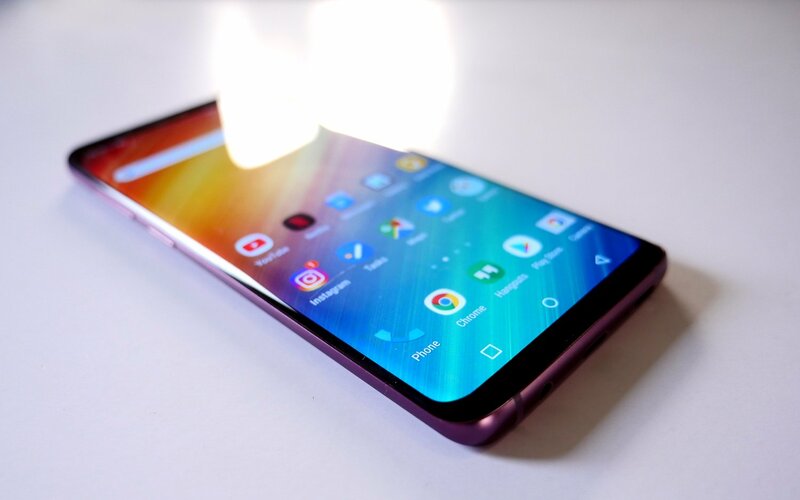 There’s no question the Galaxy S9 features one of the most beautiful displays on the market. While the overly saturated colors might look nice, they’re nowhere near accurate. For those who like to do photo editing on their device — or anyone who prefers more accurate tones — you might want to play around with the color mode. 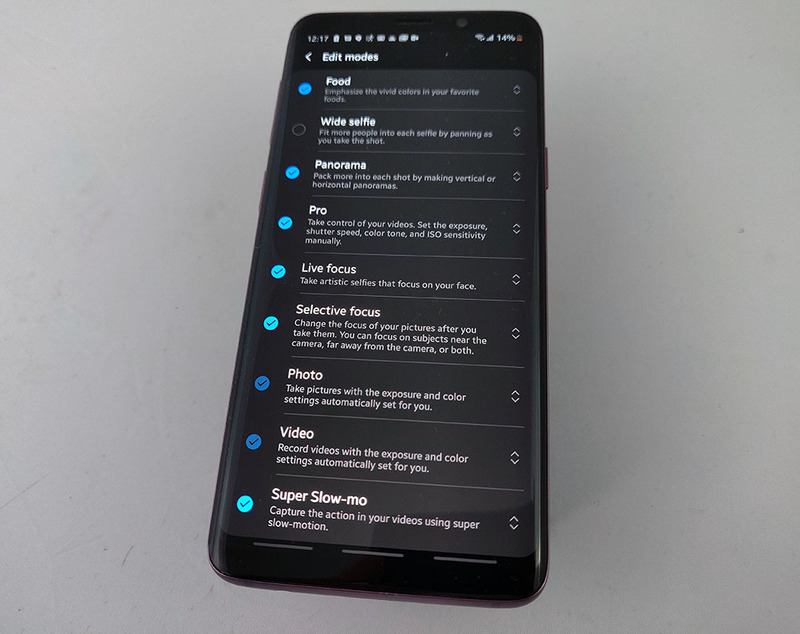 The Galaxy S9 features a few presets to choose from – Adaptive display, AMOLED cinema, AMOLED photo, and Basic. 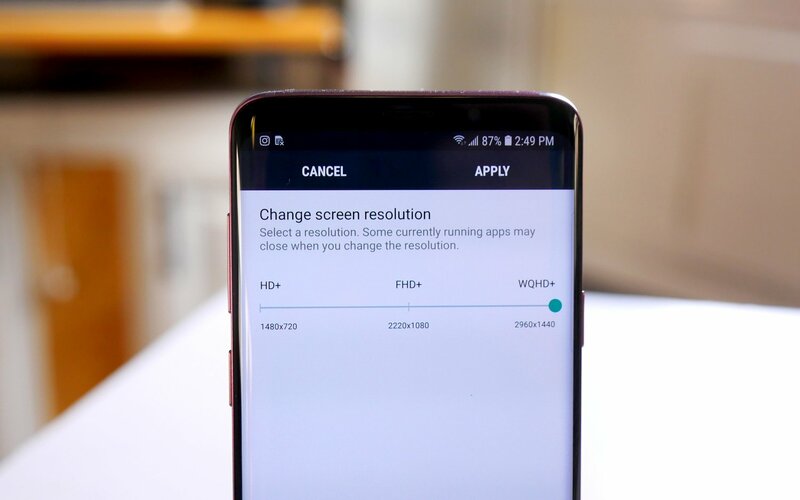 Switching between the modes will lower color saturation, slightly adjust the contrast, and warms up the display considerably. 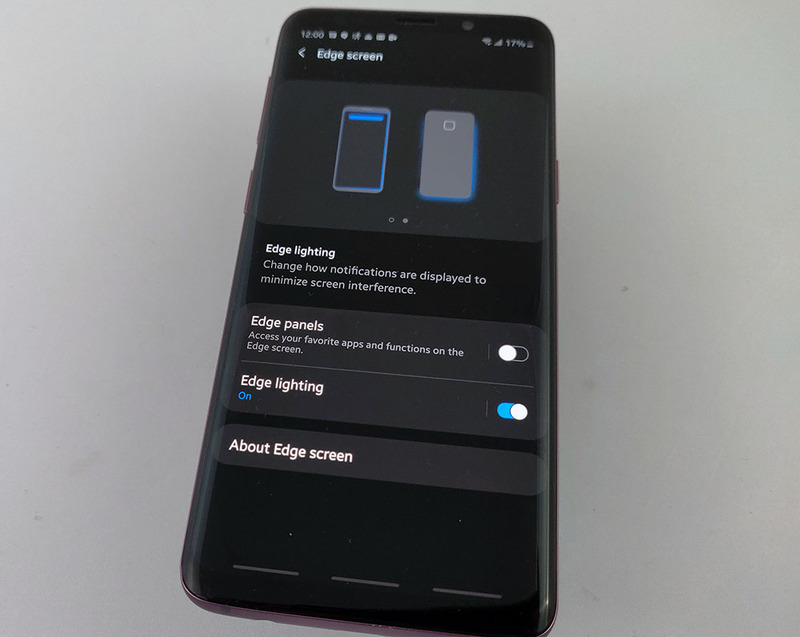 The most color accurate of the bunch is Basic, while Adaptive display is the only mode that gives you the Color balance option which allows you to tweak the white balance of the display. 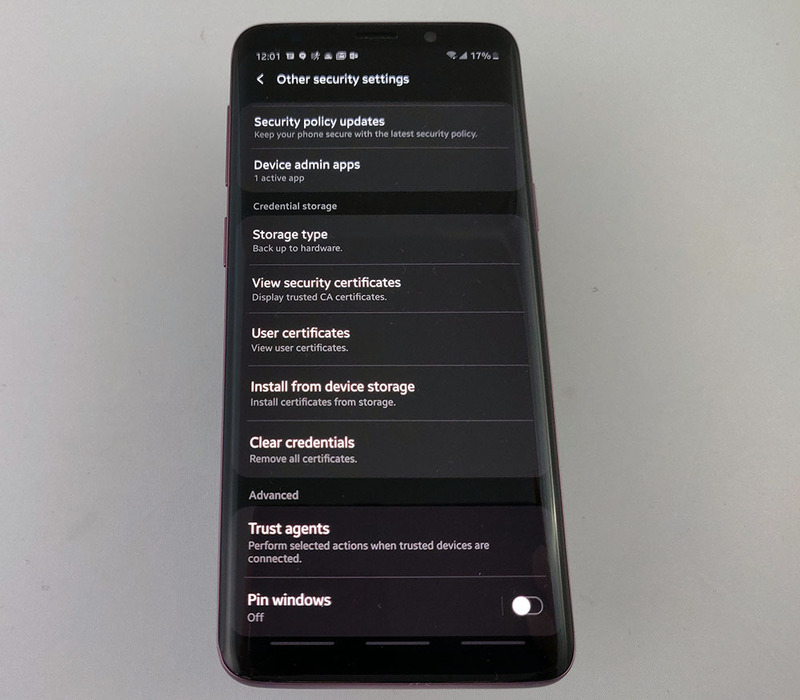 Screen locks are to keep unwanteds from accessing your phone so if you feel secure at home, there’s no reason to keep yours turned on, right? 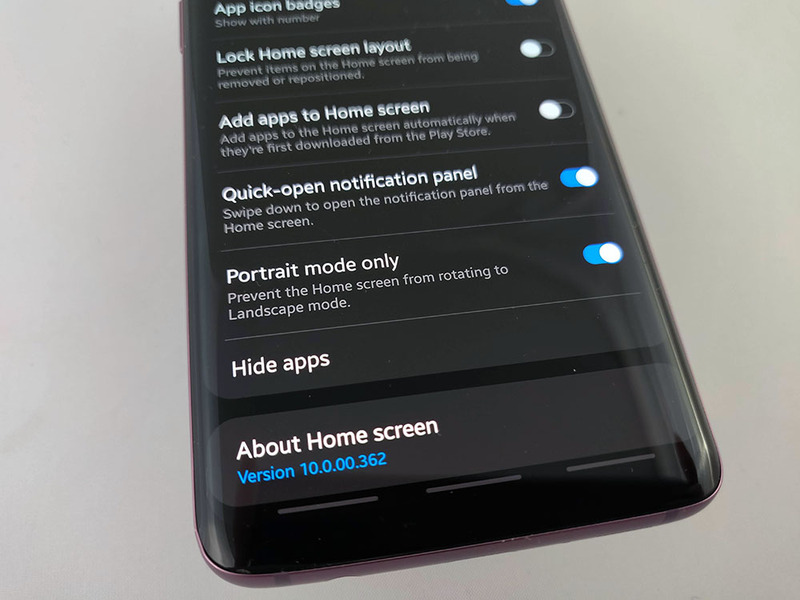 Google and Samsung make it easier than ever automate when your screen lock is enabled or disabled. 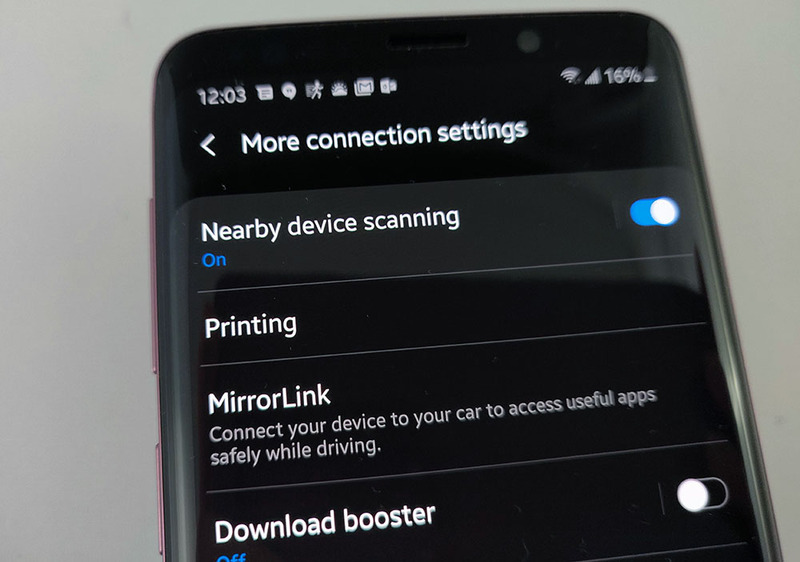 You can repeat this process if you’d like to keep your unlocked while it’s connected to a device like your smartwatch or your car’s Bluetooth. 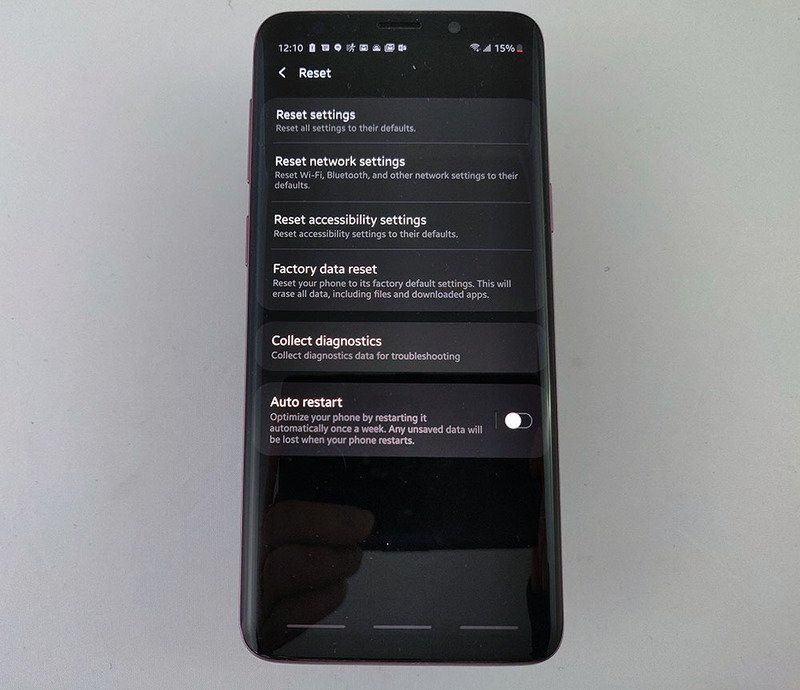 Additionally, you can turn “On-body detection” on which will keep your phone unlocked when your phone is on you or Voice Match which will unlock your phone when it hears the “Okay Google” hotword. 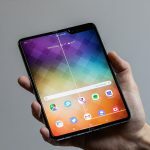 Samsung’s Always-on-Display is one of the better “at-a-glance” displays out there, but it can always be better. Off by default, there are a number of widgets you can add to the AOD to show more information or look more pleasing to the eye. This is another customization of the Always-on-Display so you can tune it to exactly how you like it. Getting into your apps quickly when you’re running out of time to capture a moment, send a text, or check-in can be frustrating. 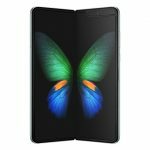 Samsung allows you to press the power button twice to open the camera, but what if you need to get into a different app quickly? For that, we have app icons on the lock screen and you can customize these with a couple of quick steps. 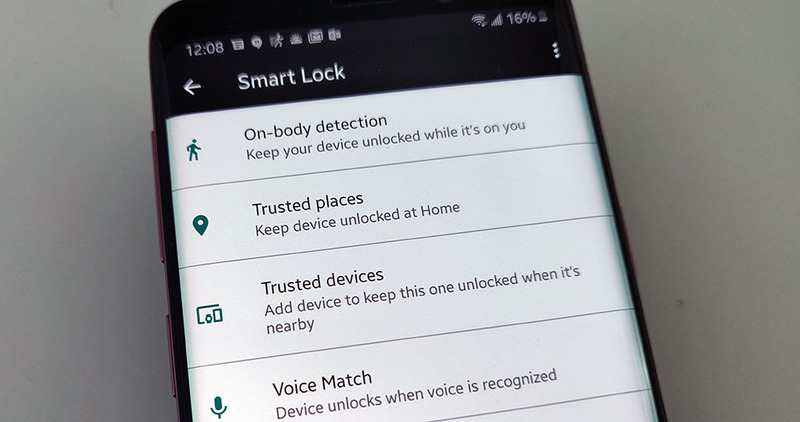 Intelligent Scan can be used for more than just unlocking your device. It can be used in lieu of passwords or to open up your Secure Folder. 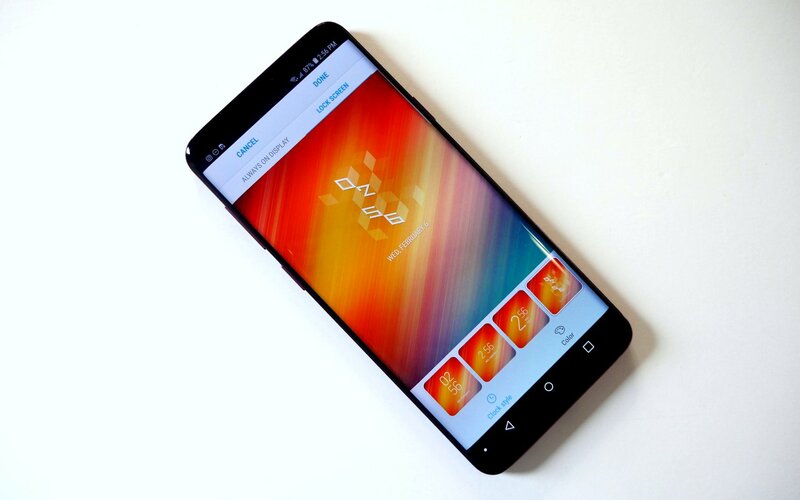 Are you selling your device and need to wipe it? 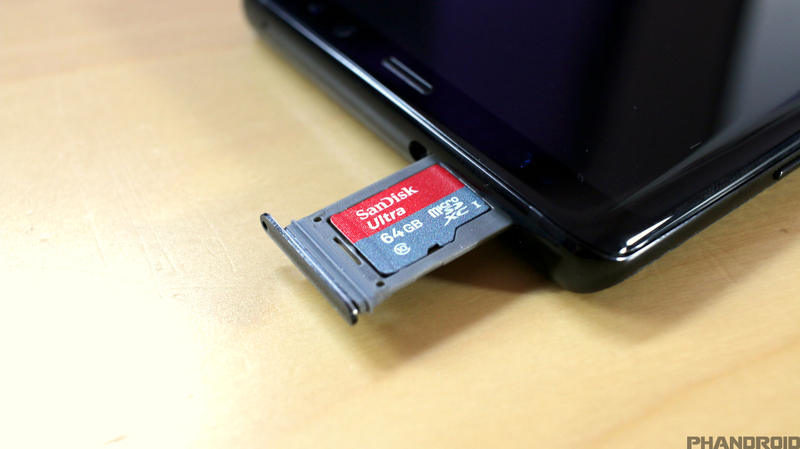 Are you looking for a fresh start to speed up your phone? Factory reset is what you want. Here are the steps to starting over. Just a reminder, you will lose ALL of the data on your device that is not backed up before you start this process. Be absolutely sure you have everything you need off your device before you begin. As a reminder your device will not start if the screen is on, the phone is being used, the battery is below 30% or SIM card lock is turned on. The notification shade is great, but there are other options out there. Facebook Messenger first popularized floating notifications for most Android users. 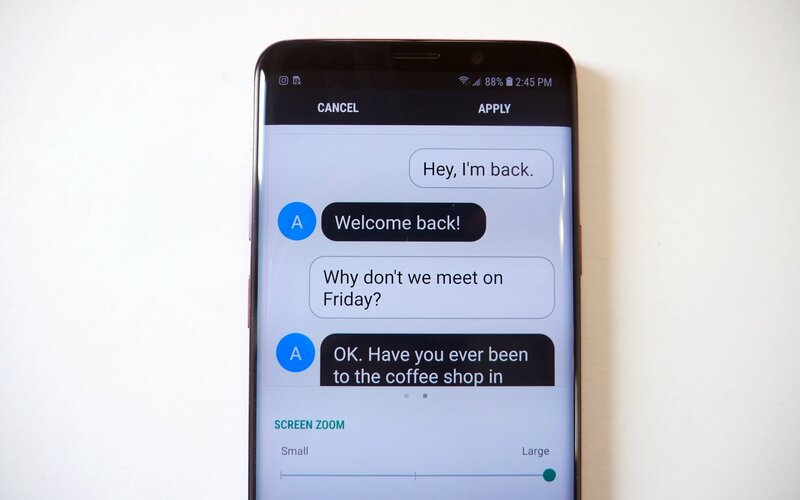 Chat Heads have always been a huge hit and now Samsung has its own version called floating notifications. These show up near the top of your screen, but float on top of your other apps. Tapping one opens up a smaller version of the application that allows you to quickly reply to a message or read a headline then dismiss it and go back to what you were doing. If you have two accounts for the same social networking, maybe a work Facebook page or a parody Twitter account, you can now use both without logging out. Samsung allows you to basically make a duplicate of your social media app of choice and log in twice. It’s extremely convenient and means you don’t need to hold all those passwords in your head. There are a couple of ways to go about deleting unwanted applications but the most comprehensive way is through the settings menu. You see far more of what’s actually on your device than going through your app tray. If uninstall isn’t an option, you will probably see “disable”. Pressing this will disable and hide the application, but not remove it from the device entirely. Emojis are great to spice up a conversation or convey an emotion that would otherwise be lost when just using words. But, there isn’t always the perfect emoji out there for everything. Now, you can turn yourself into the emoji and convey exactly what you want. Other companies have similar features but Samsung’s is called AR (Augmented Reality) Emoji and it’s incredibly easy to create and customize yours. After your AR Emoji is created, you’ll have the option to customize it as you see fit with different syle options. Samsung’s very capable keyboard comes as the standard when you set up your phone, but you don’t have to stick with it. There are a ton of other options out there with Gboard and SwiftKey being two of the more popular options. 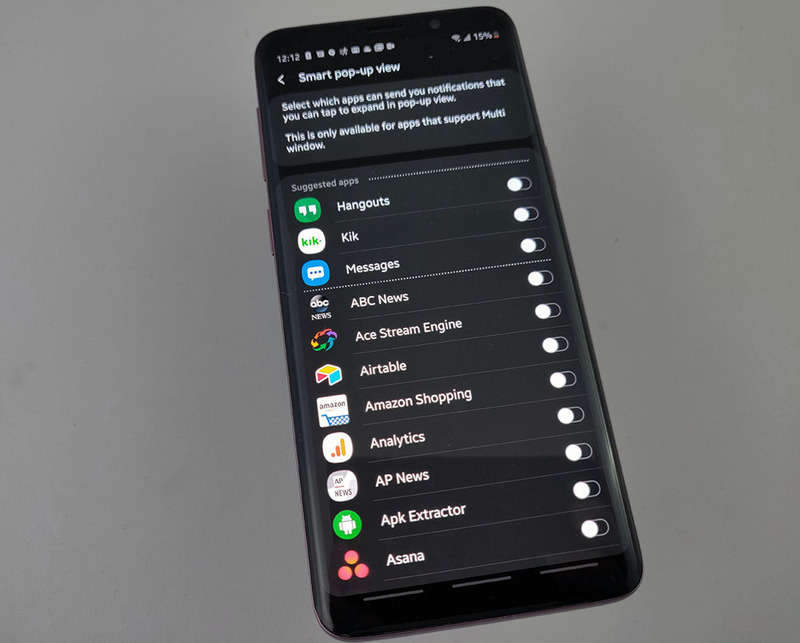 It’s great that Samsung added a dedicated assistant button on the side of its Galaxy S9 and S9 Plus, but it’s a real bummer that you can only use Bixby. Pressing that button is rather easy too, as it sits right under the volume rocker. You can’t completely disable the button without a third-party application (bxActions) but you can avoid an unwanted activation. 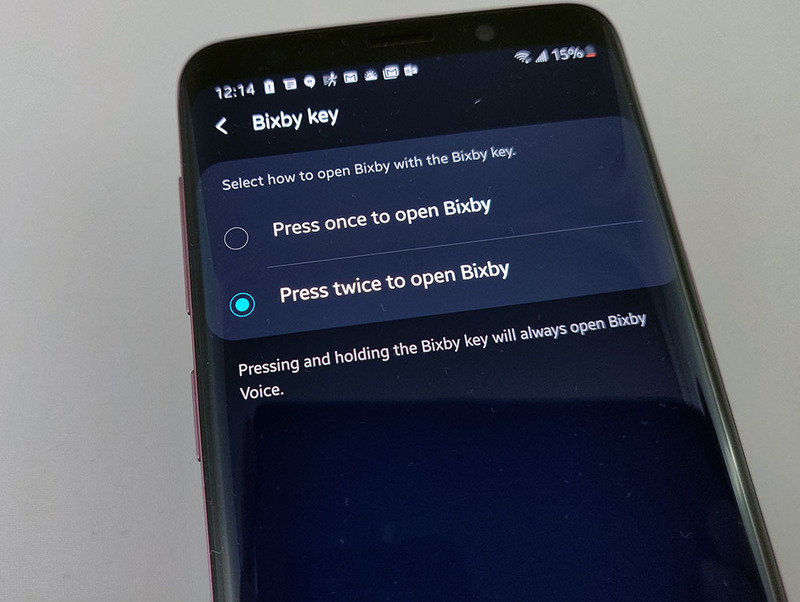 Now to activate Bixby, you must double press the Bixby button instead of a single press. 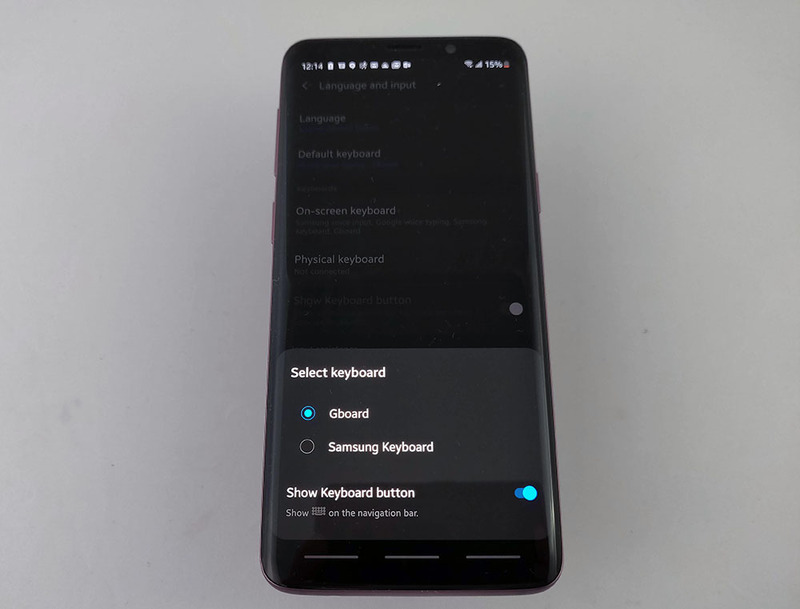 Now if Samsung would just let us remap the button entirely…. 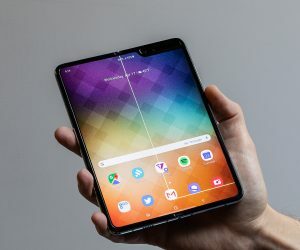 Samsung makes the best mobile displays out there and I love looking at them. I love reading on them too but I always seem to have my screen turn off while I’m reading, even with a one minute delay instead of the standard thirty seconds. 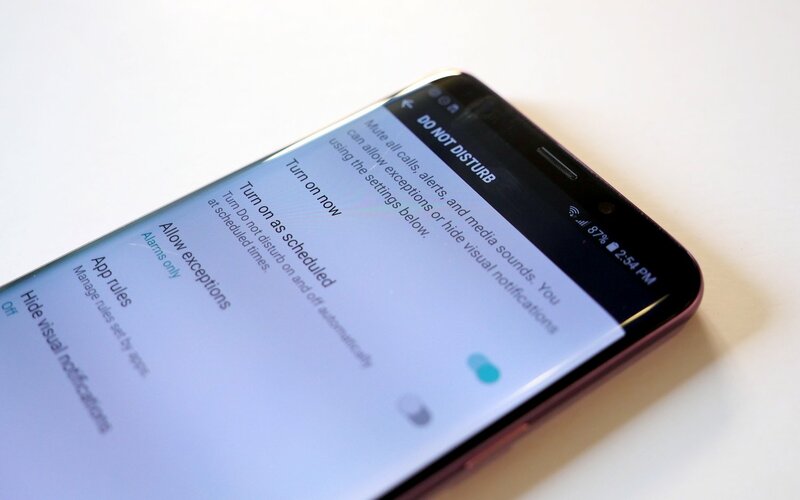 Samsung has included a fix for this by detecting when you’re looking at the screen and keeping it awake. Quick toggles, the buttons at the top of your screen in your notification, are a staple of Android at this point. Tapping them tuns a feature on or off and holding them can sometimes take you to a full menu. But, what if you want different toggles up there? Well, that’s an easy fix. 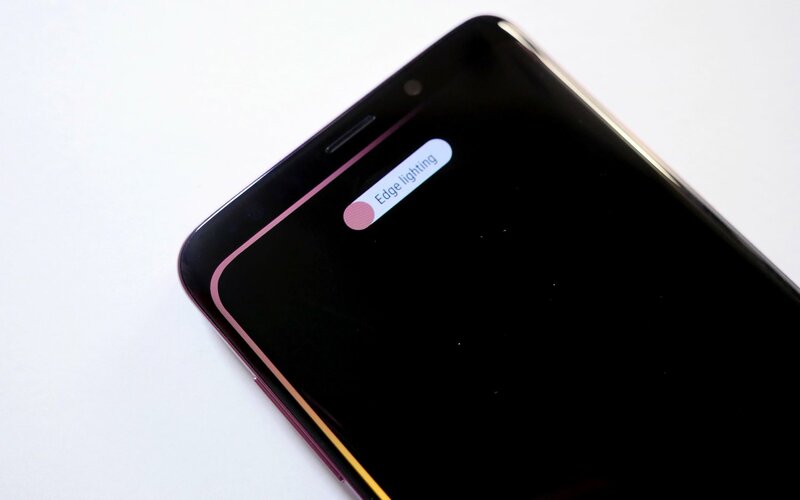 Keep in mind that your notification shade shows the first six quick toggles unless you expand it further so put your most used toggles in the first six selections. By default, the camera shows a 3:4 centered view of what your camera lens sees, but that’s not your only option. If you’d like to fill up your display or change the aspect ratio of your pictures, follow these simple instructions. Keep in mind that changing this will also alter your end product. You may not be able to get as much in the picture if you select one of these options. Historically, one thing smartphone cameras have struggled with is action shots. Depending on what you’re shooting, the subject might be moving too fast for the camera to catch a solid shot. 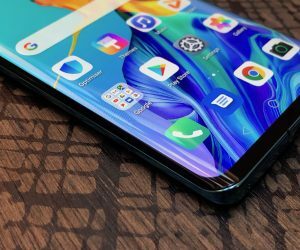 Part of how Samsung and others have addressed this by creating the “Motion photos” feature. This captures a little bit of video before and after you press the shutter button so you have a little clip rather than just a blurry photo. Pictures and videos are great, but there’s room for other options too. 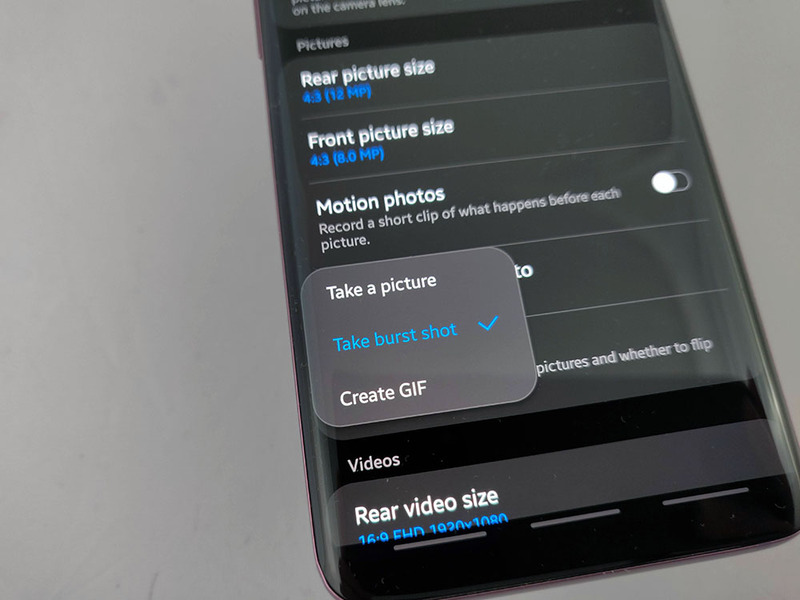 Gifs (pronounced “gyf”) are the perfect compromise of small file size, good resolution, and action. You can create gifs directly from the camera viewfinder, too. Samsung ships with a TON of camera modes. That’s great if you love taking photos, but most people won’t use these modes. Luckily, you can re-arrange and hide certain modes that you’ll never use. Even if your phone has the best battery life out there, there are always going to be times where you’re running on fumes. 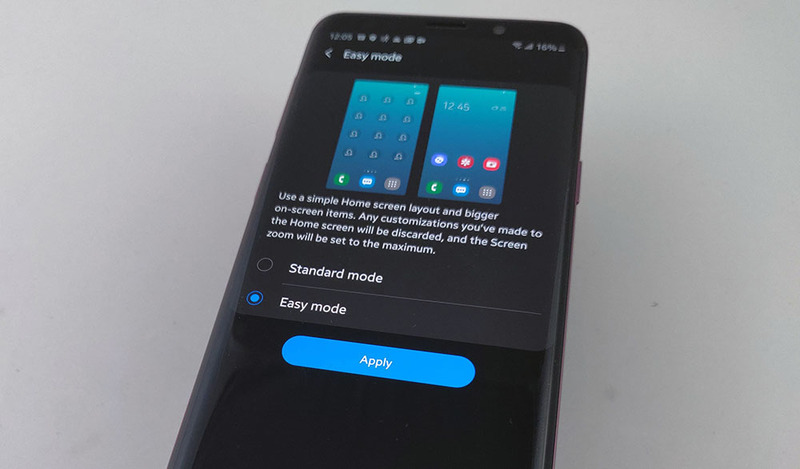 Samsung has included two different power saving modes that will help dramatically extend battery life on your Galaxy S9 or Galaxy S9 Plus. 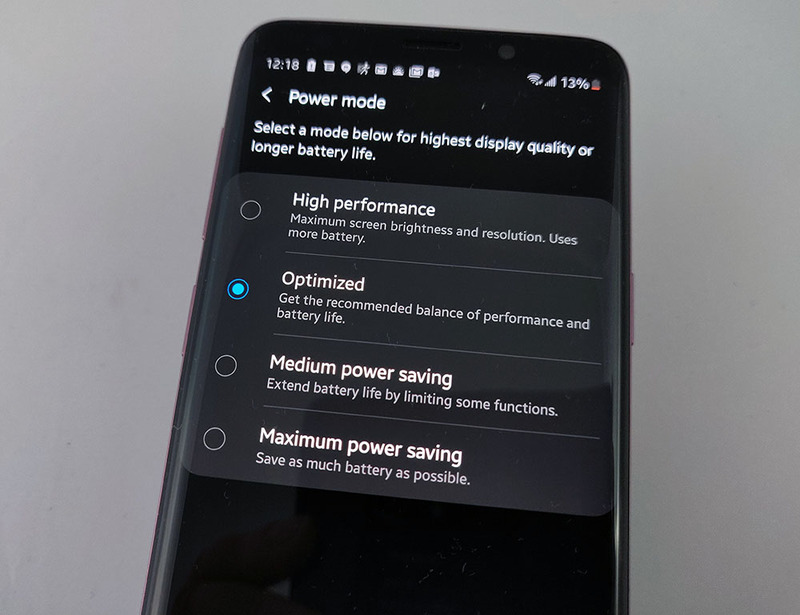 Medium power saving mode will bring down the brightness, turn off some animations, and a few other tweaks to extend your battery life. Maximum power saving mode basically turns your phone into a dumb phone. You can still call and text, but that’s about it. This a fantastic if you’re getting near the end of your battery life and you know you won’t be near a charger for several hours. This tweak won’t make your phone any faster, but it sure will feel faster. Speeding up animations is purely superficial but it’s also one of the easiest tricks on this list and has a very noticeable effect. 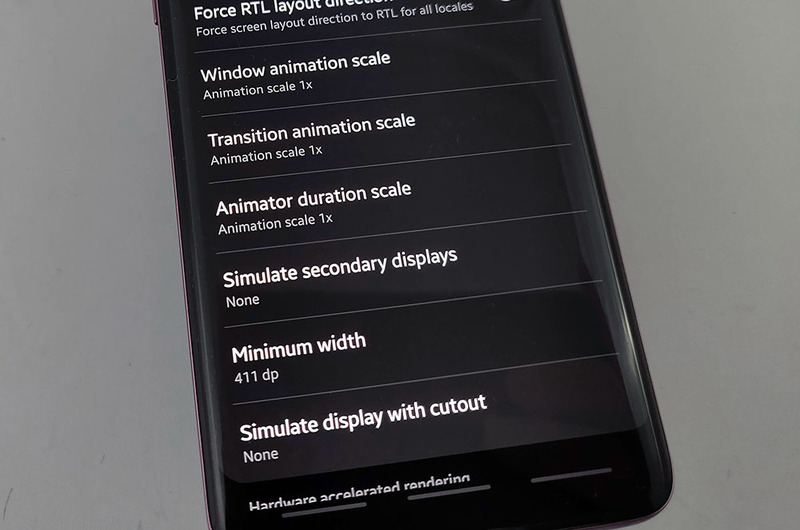 This will reduce how long it takes each animation to play on your phone. While it doesn’t sound like much, you’ll notice the difference. We live our lives on our devices so it’s not that uncommon for people to have personal files and pictures on their devices. 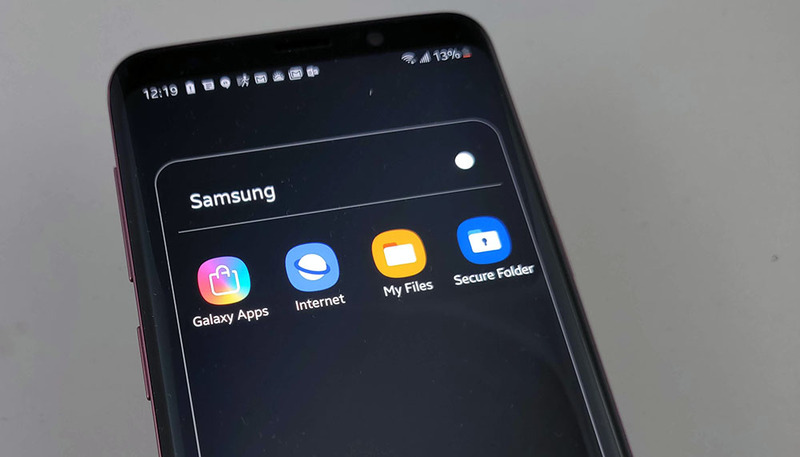 Screen locks and biometrics are great for keeping people out but Samsung has added an additional layer of security named Secure folder. Secure folder is exactly what it sounds like, a folder that holds applications, files, pictures, and videos that you don’t want anyone else to find. There’s a little bit of setup, but it’s quick and easy.